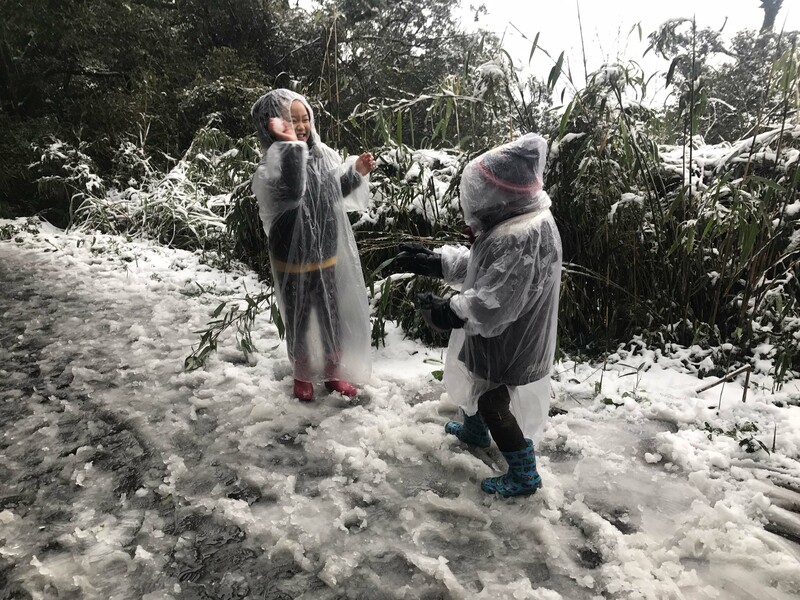 The strongest cold surge of the winter continues its grip on Taiwan, and Datun Mountain, one of the two highest peaks in Yangmingshan National Park in Taipei, has seen snow for the first time in two years since Monday. 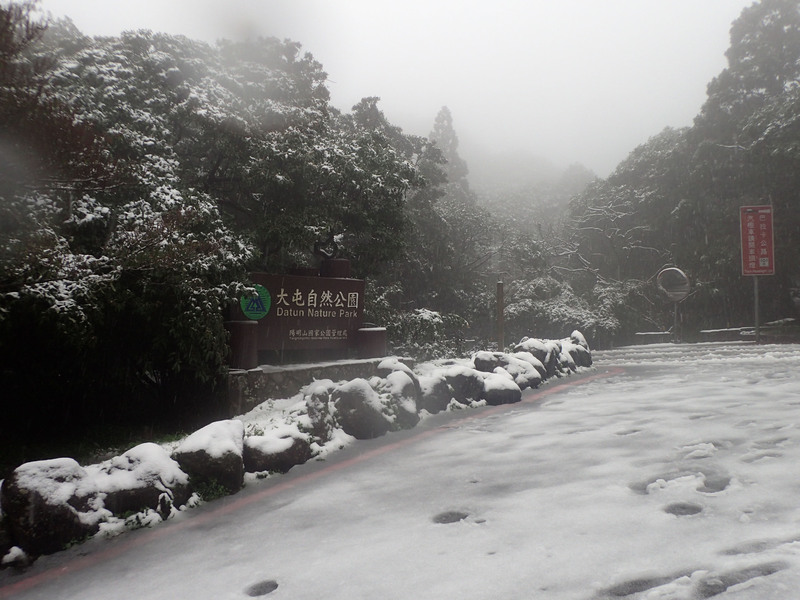 The entrance to Yangmingshan's Datun Nature Park, located 800 meters above sea level, is blanketed in snow Monday. 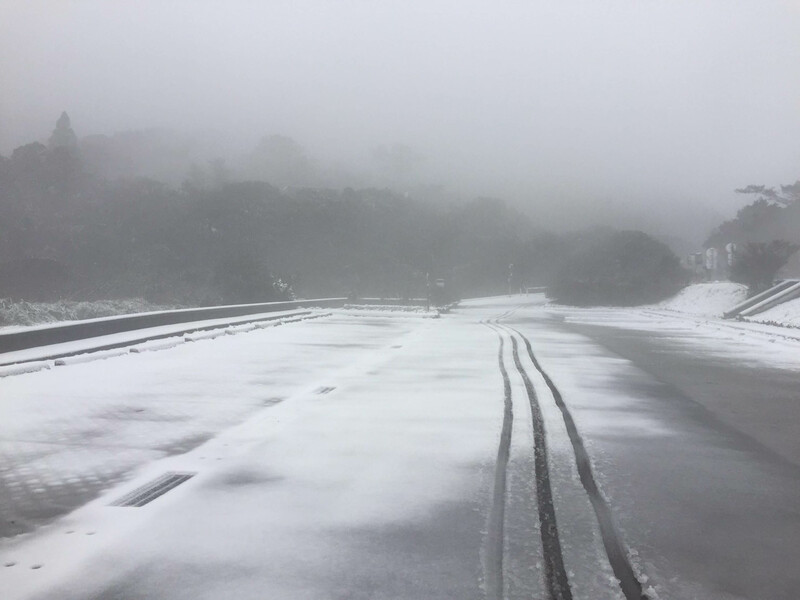 According to the Taipei Police Department's Traffic Division, traffic controls have been imposed at key entrances to areas of Yangmingshan where snow has fallen. 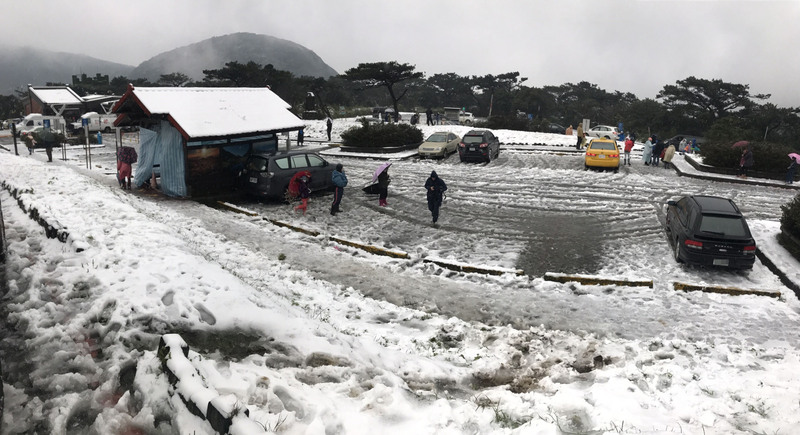 The Erziping parking lot, located near the Datun park area on Balaka Road, is also covered in thick snow. An empty part of the Erziping parking lot provides a spectacular view of the area. 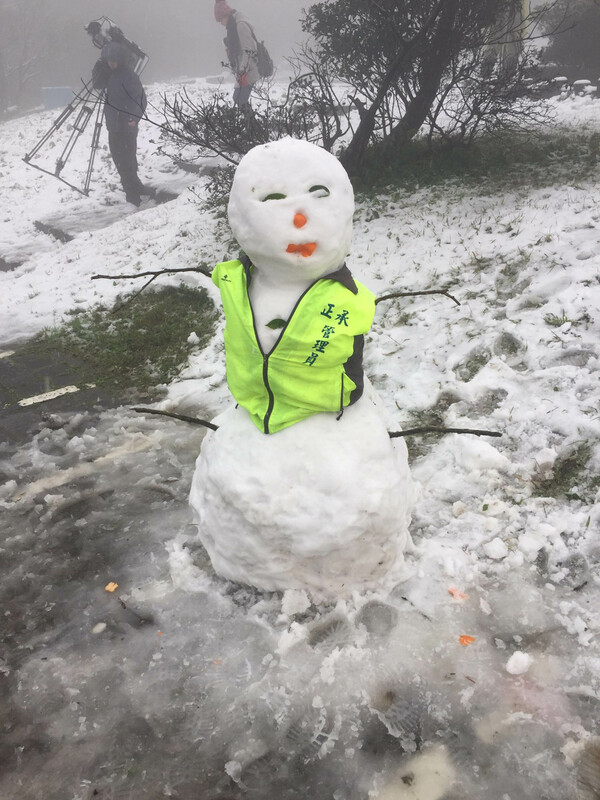 A snowman in the park. There is no fun in the snow without a snow fight, as two young girls throw snowballs at each other. 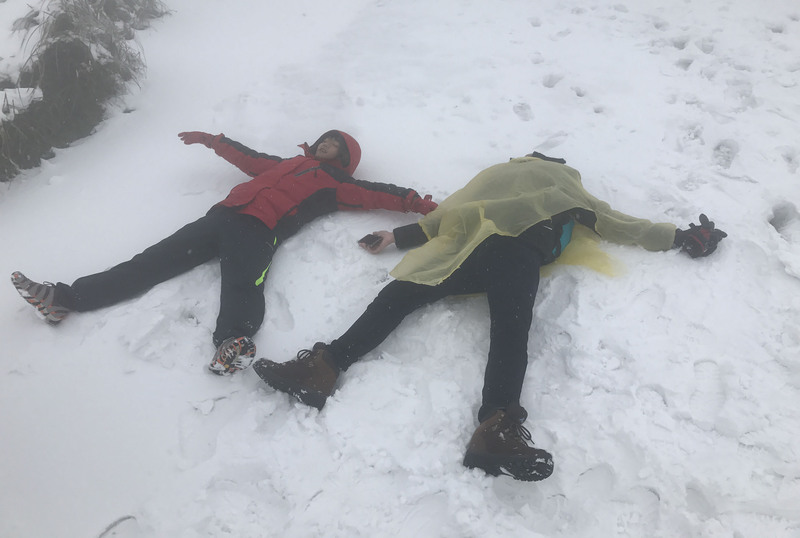 Two college students make snow angels on a snow-covered trail leading up to Datun Mountain.